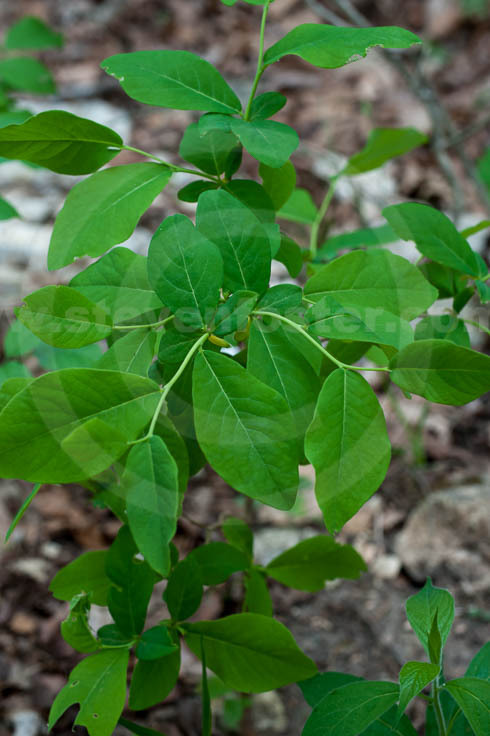 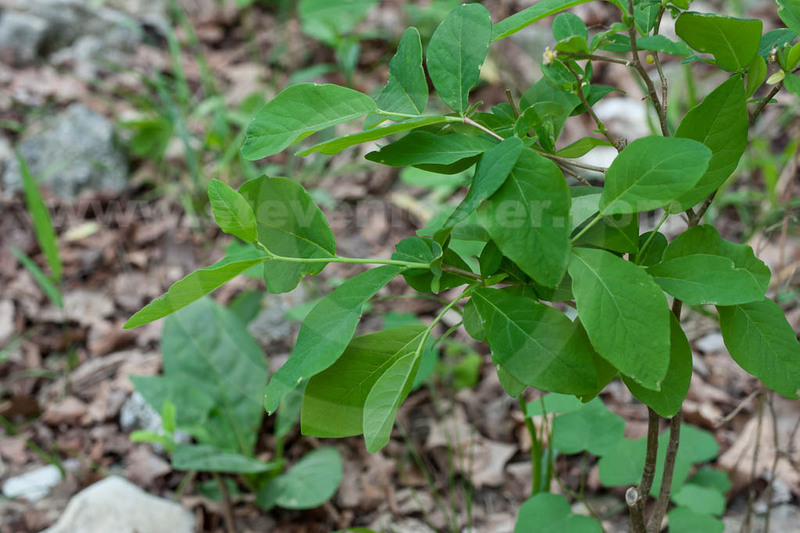 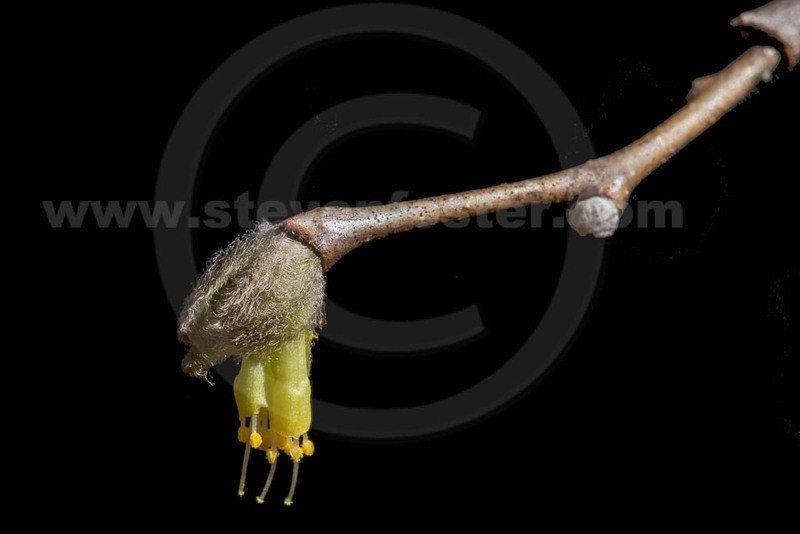 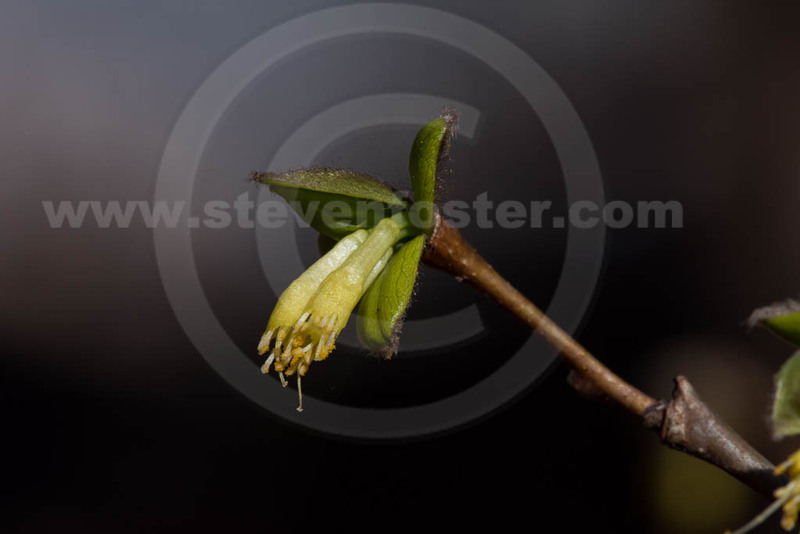 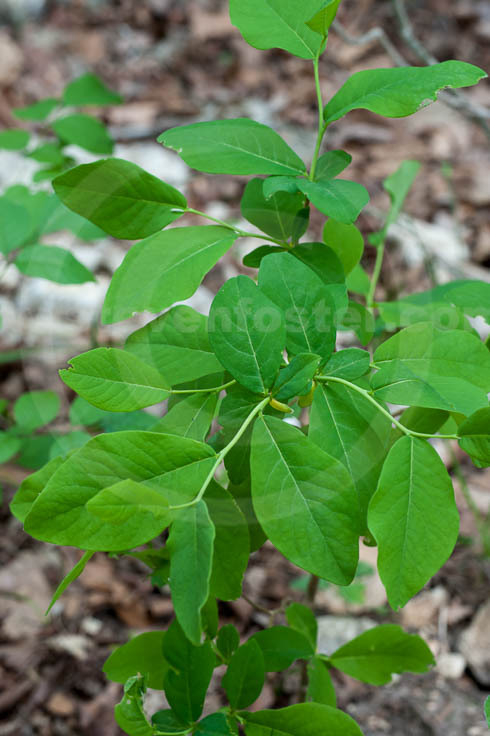 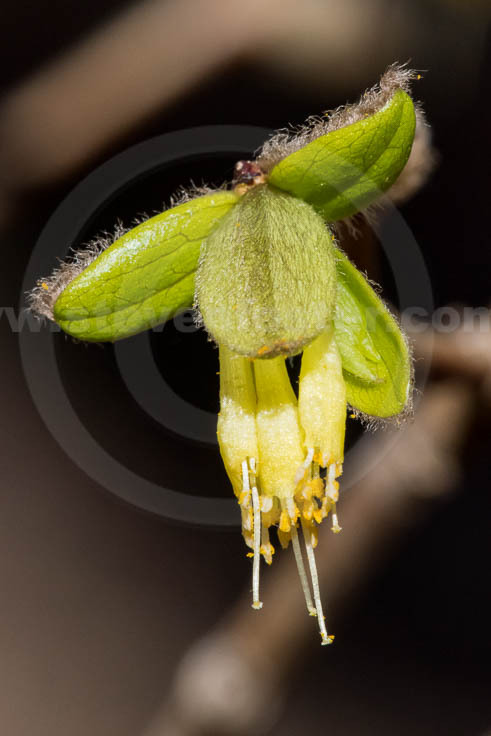 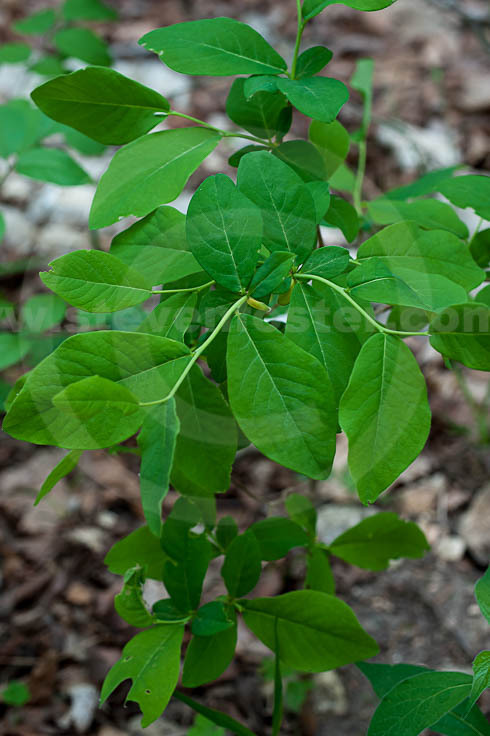 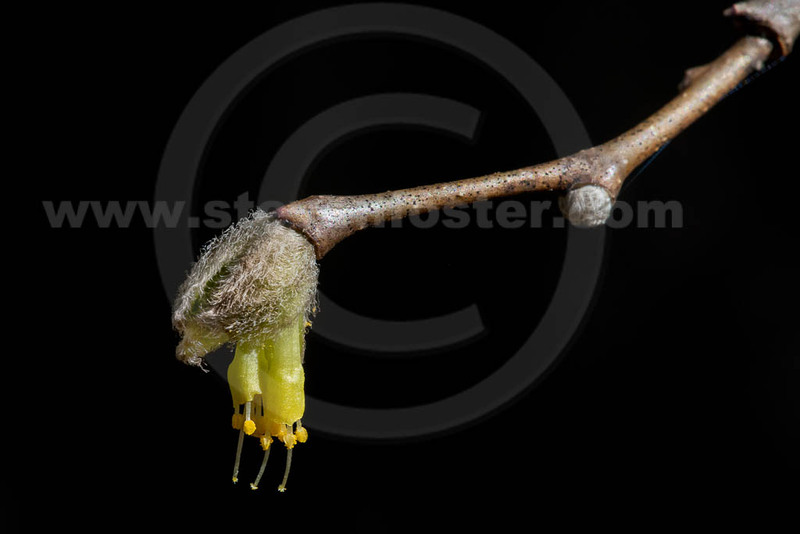 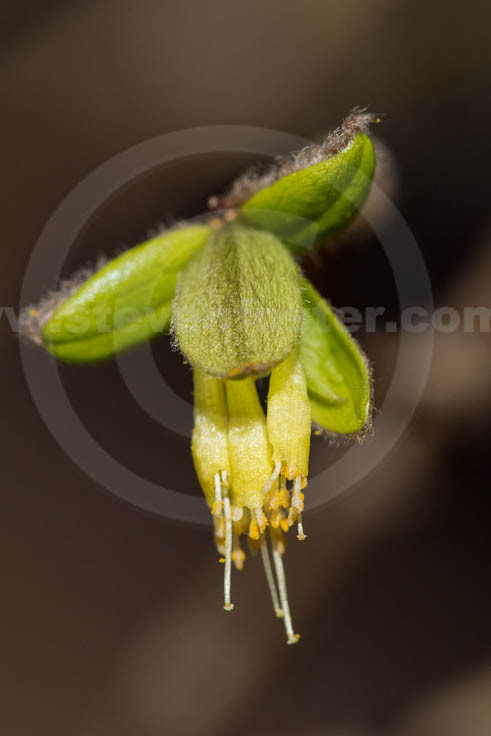 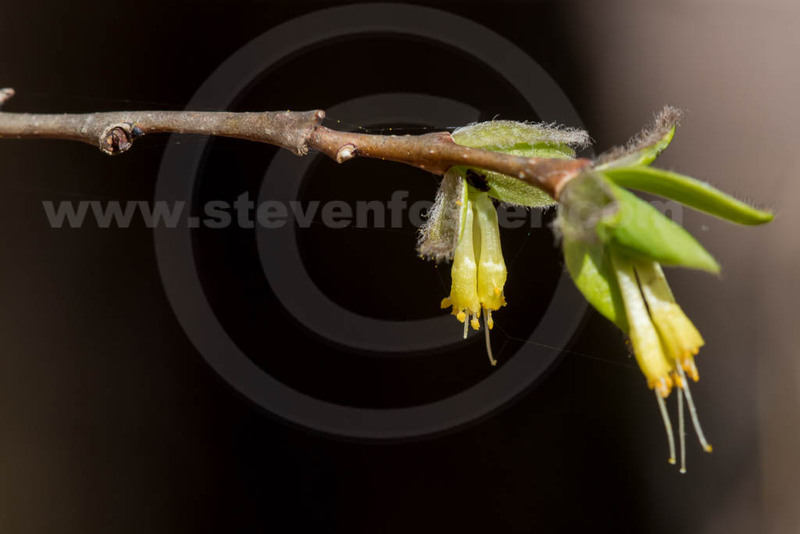 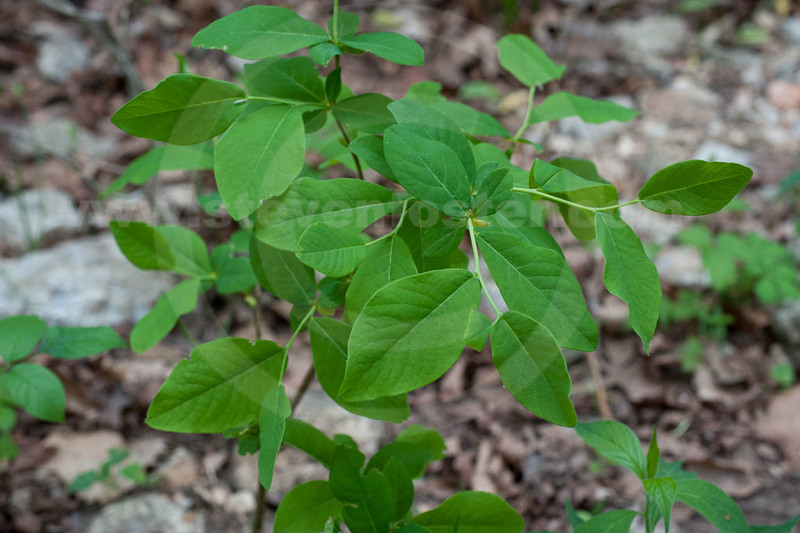 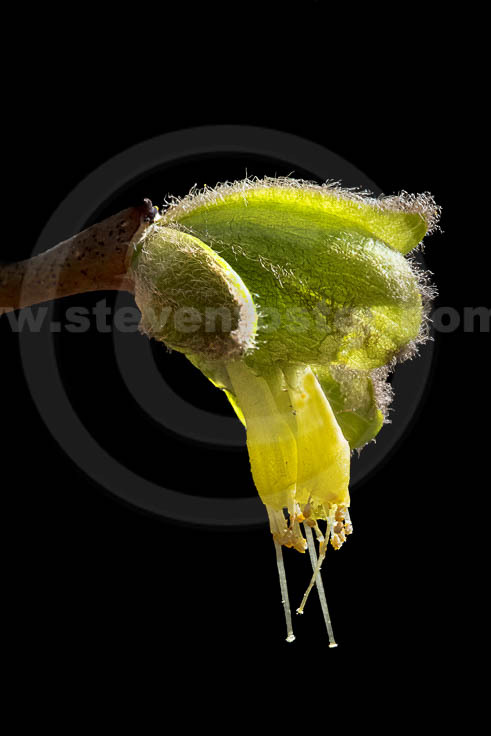 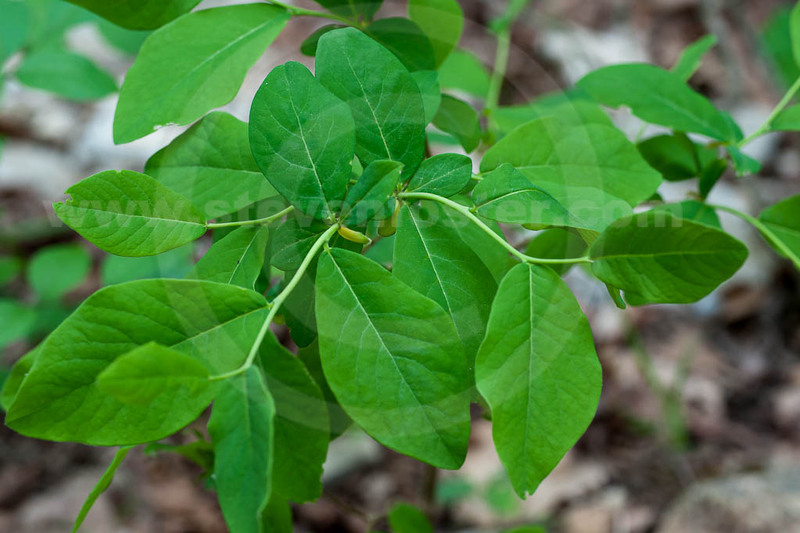 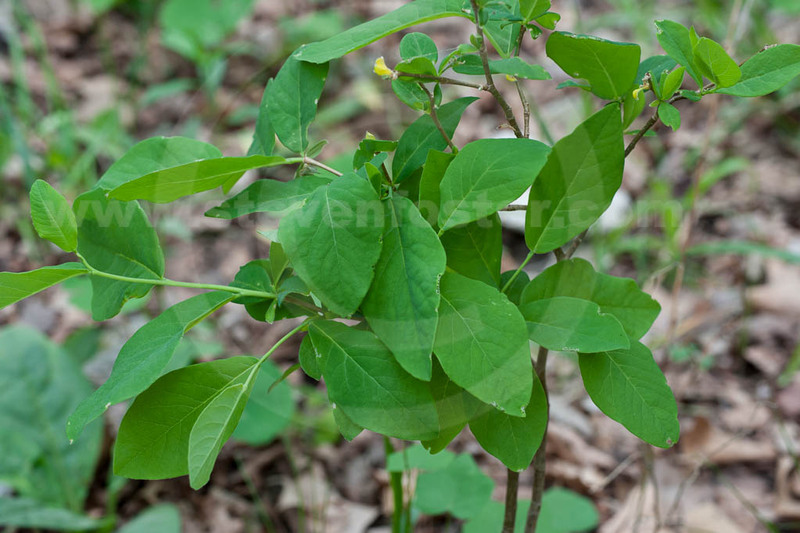 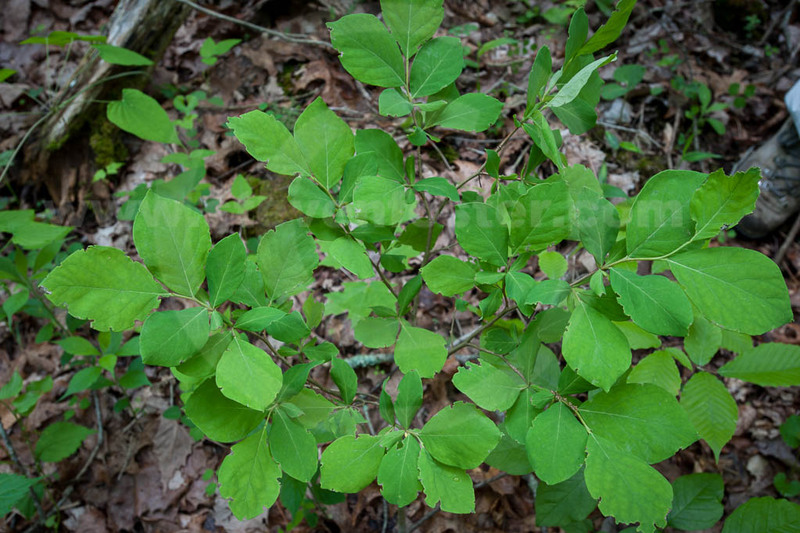 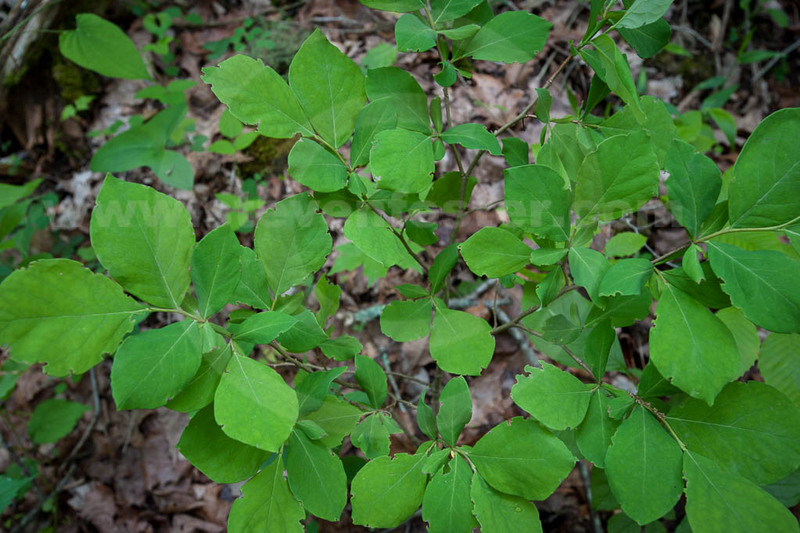 Photos of Dirca palustris, Leatherwood in flower and in leaf. 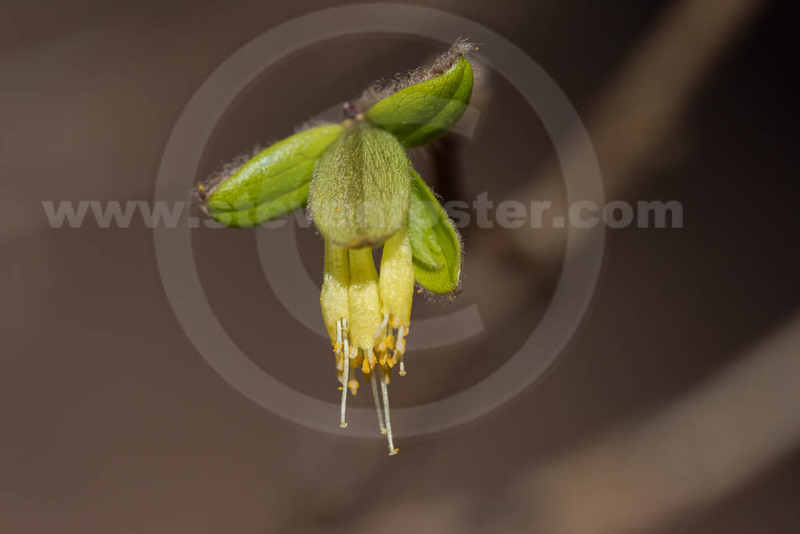 Dirca palustris, Dirca palustris, Leatherwood a member of the Thymelaeaceae, is found in moist woods often in riparian bottoms in much of eastern North America. 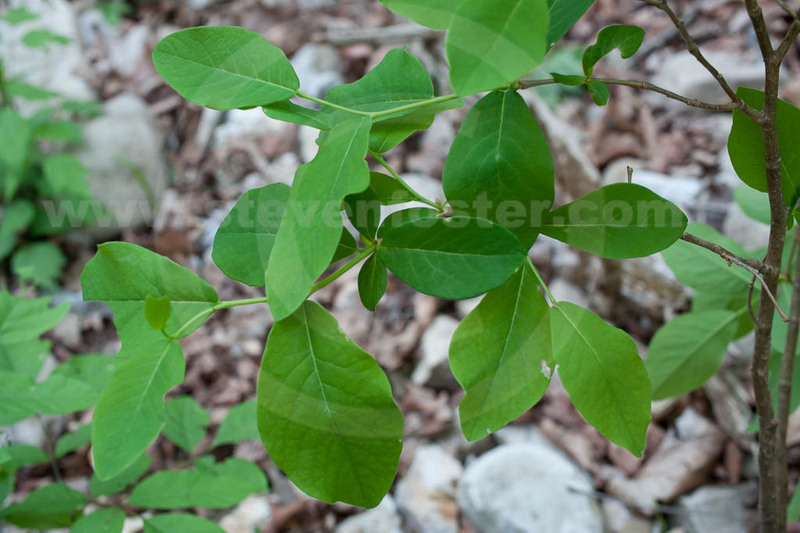 The stems are flexible like leather, inspiring the name along with French name Bios de Plomb, "leaden wood", meaning flexible like lead. 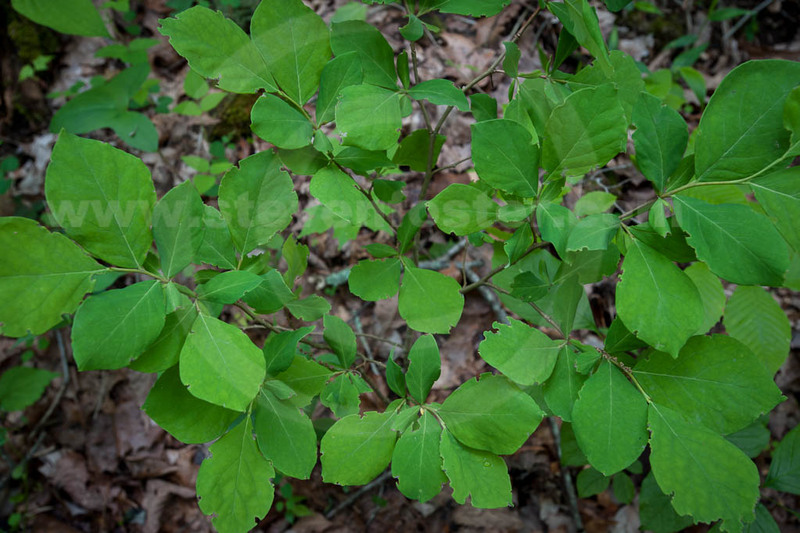 Associated with cathartic and topical vesication activity, probably more indicative of toxicity than medicinal utility.